A town in the far east of Germany primarily associated with the most infamous prison of the GDR era. Here the Stasi locked up political prisoners in a special, secret facility. Bautzen's also long had a large "regular" prison, which has had its own dark history too, in particular during the Nazi era and during the post-WWII Soviet occupation. More background info: The fact that there are these two prisons in Bautzen can cause confusion and has frequently done so. Some seem to think that the regular big prison was the Stasi prison. It wasn't. And I've heard from locals who have lived all their life in Bautzen that even they were only aware of that large prison but had no idea there was also a separate special Stasi prison behind the courthouse. So to make it as crystal clear as possible: the main large prison in Bautzen nicknamed "Gelbes Elend" ('Yellow Misery' – after its yellow brick walls) has for the most part of its existence been just a "normal" prison for "regular" criminals. It started operations in 1904 and was actually quite modern for its day. In the Weimar Republic it was more "liberal" than such facilities had ever been. 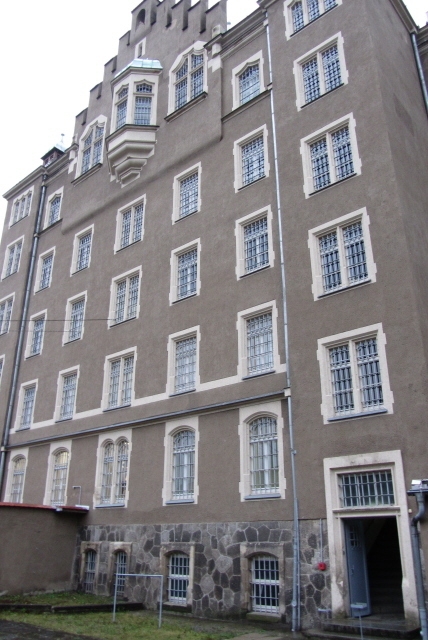 This is the main Bautzen I prison. In 1906, a second, much smaller prison was added to the main courthouse in Bautzen, primarily as a remand prison. 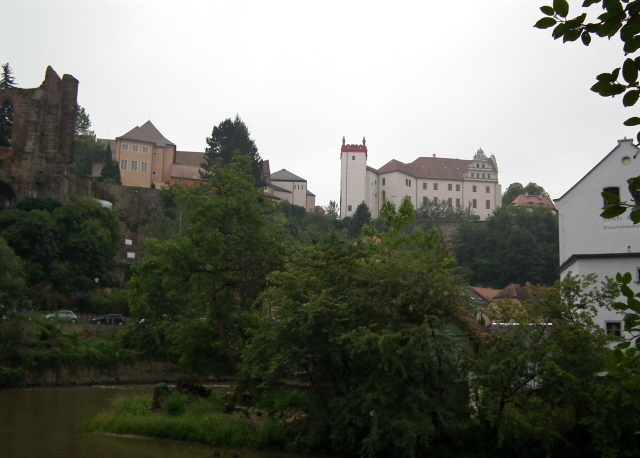 This is Bautzen II – where today's memorial is located. Bautzen I, meanwhile, remains in operation as a prison to this day. With the end of the Weimar Republic and the coming to power of the Nazis in 1933, the regime in both prisons changed. Reformist tendencies were over, and harsh treatment of prisoners became the norm again. Also, more and more political prisoners were received, especially communists and other opponents of the Nazis. As in so many cases (cf. e.g. Münchner Platz) formerly regular prisons gradually became precursors of the concentration camps – and indeed many inmates did eventually end up in such camps. After the end of WWII and the downfall of the Third Reich, Bautzen became part of defeated Germany's eastern zone that was occupied by the Soviet Union. Between 1945 and early 1950, Bautzen I was turned into one of the Soviet "Special Camps" – see also Sachsenhausen and Buchenwald. Originally these were intended to hold Nazi officials and perpetrators of war crimes, but that soon changed too. In the main, the Soviets incarcerated political opponents or those deemed to be of an anti-Soviet persuasion – often on totally random charges of "spying" or "anti-Soviet agitation". This was the deadliest phase of the prison's history. At least 3000 prisoners are assumed to have succumbed to the incredibly inhumane conditions and died. They were buried in unmarked mass graves on a hill right next to the prison (Karnickelberg). Many more survived Bautzen, but were sent on to other camps or gulags in the USSR (especially in Siberia or today's Kazakhstan). In the 1950s, both Bautzen prisons were handed over to the authorities of the newly founded GDR. Bautzen I was officially returned to housing "ordinary" convicted criminals … although prosecution for ordinary crimes could easily have involved political elements as well in the GDR's despotic judiciary system. However, it was Bautzen II that now became the main place where "enemies of the state" would be sent. It was the only prison directly run by the GDR's infamous Stasi secret police. This was of course kept secret – the fact only emerged after 1990 with the demise of the Eastern Bloc and the beginning of research into the Stasi legacy. The prison itself was also as good as secret, thanks to its location. The main cell block was inside the large courthouse's inner yard and thus could not be seen from the street or indeed from anywhere other than from the courthouse itself. 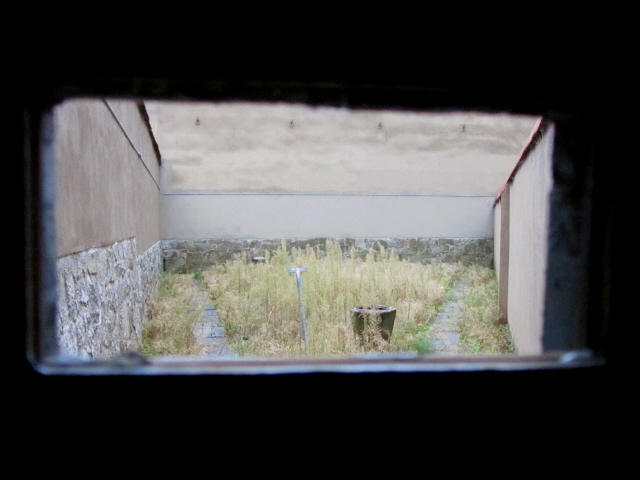 More importantly, this meant that the prisoners too could not see anything else of the world from their cell windows either … let alone attempt to make any kind of contact with the outside world. And that was of course the point. Not only open opponents of the regime were imprisoned at Bautzen II, even people who had done nothing more than attempting to flee to the West could end up here. As did former Stasi members or party officials if for some reason they had fallen from grace of the powers that were. Uncovered Western spies were sent here too. And: Bautzen was also notorious for having held very prominent inmates – the best known of these was probably the dissident writer Rudolf Bahro. Some prisoners were held in solitary confinement for years on end. Other forms of psychological torture were common too … and also punishments bordering on physical torture, such as refusing to allow inmates to use the toilet until they literally were sitting in their own excrement while being chained up – and then being taunted for it. Somewhat more subtle, but for those concerned equally mean, was the practice of putting non-smokers together with heavy smokers in tiny shared cells (and giving the smokers plenty of free cigarettes). Smokers may see little wrong with this, but non-smokers can probably imagine what a constant horror this must have been. 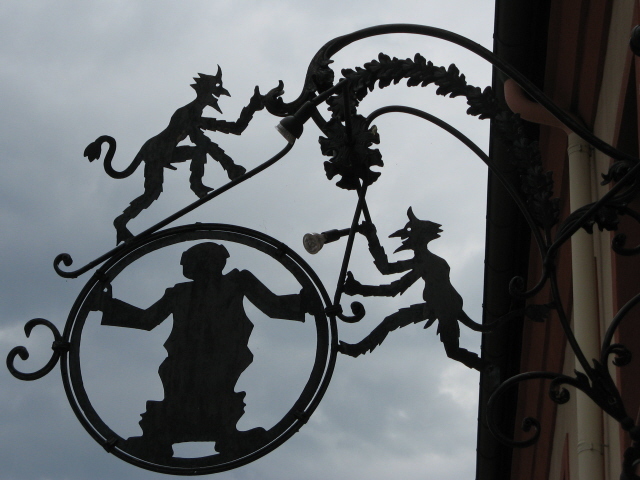 Needless to say, many of Bautzen's former inmates suffered long-term psychological damage. But there were also heroic attempts at resistance and not being broken by the regime. The long shadows of Bautzen's legacy still loom large. When I was on a guided tour of the prison in 2012 it turned out at the end that one of the older guys in the group had in fact been a prisoner in Bautzen himself once, if not for a particularly long time ("only" a few months or half a year, from what I gathered). Yet it took the man some 25 years or so before he could bring himself to visit today's memorial. And he was visibly shaken by the experience. He just indicated only so much, before he said he had to leave… even half a century had clearly not been enough for the mental scars to really heal. It was a very emotional insight – vague as it eventually remained (in so far as we never learned what the guy had been sent to Bautzen for and what exactly he experienced here). As the GDR regime was crumbling and state control was losing its grip during the peaceful revolution in East Germany in 1989/1990, Bautzen too came to the attention of protesters, who demanded the special prison's closure. Eventually all prisoners were released (but only some time after the fall of the Berlin Wall). In the subsequent chaos and uncertainty of what was to happen, the Stasi had plenty of opportunity to cover up their crimes at Bautzen. But that was only partially successful – some evidence remains, and most importantly: victims' and eyewitnesses' memories could not be shredded! So the truth about the Stasi prison of Bautzen did gradually emerge. This also led to the decision of turning the site into a memorial, after it had been sitting dormant and empty for a few years, in 1993/1994. 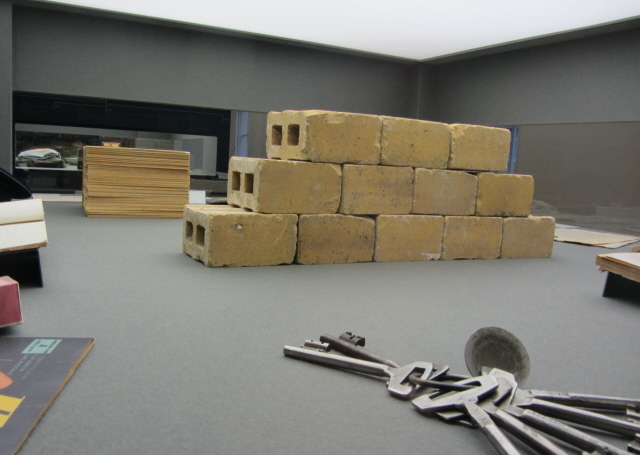 Parts of the exhibitions inside are still under development. But it already is, without any doubt, one of the most significant memorials commemorating the nastiest sides of the GDR. The "Yellow Misery" of Bautzen I, on the other, resumed business quite soon after the end of the GDR. Now run by the Saxon state as a JVA (for "Justizvollzugsanstalt" – roughly 'judicial correctional facility'), it continues to fulfil its original purpose it had been set up for more than a century ago. As such it remains out of bounds to the general public. The memorial site of Bautzen II, the Stasi prison, however, is now one of the grimmest GDR-related sites a dark tourist can visit (but see also Hohenschönhausen!). Unfortunately, its commodification is almost exclusively directed at a German-speaking clientele. International visitors without a good knowledge of the language have to make special arrangements (see below). What there is to see: The principal site to visit here is the former Stasi prison Bautzen II which has been developed into a memorial since 1994. You can see the former cell block, the yards outside, the garages as well as both permanent and temporary exhibitions on various aspects of Bautzen's prisons' history. When I went in late summer 2012, I timed it so that I could go on one of their free guided tours on a Friday evening, when the site is also open late (see details), so that there would be extra time for exploring after the tour as well. This was indeed a good idea. The guided tour kicked off in the courtyard outside the garages, i.e. where the prisoners would have been taken to first on arrival before being sent to the cells. But instead of that, the group was, after a short introductory talk, first sent into the former garage where a ca. 20-minute film about the history of the Bautzen prisons was shown. Also in the garage, original vehicles used for the transport of prisoners at different points during the GDR era are on display. You can even climb inside and see the tiny transfer cells. A word of warning: the floor-to-ceiling glass panels set into the garage door openings (the actual doors are left permanently open) can be quite dangerous. They are so clean you don't necessarily see they are there. I witnessed two people walking bang into them … literally bang! The memorial management should perhaps affix some of those dark flying-bird shapes made of paper onto the glass panes – to protect both birds and visitors from hurting themselves! The tour then proceeded into the prison building as such. 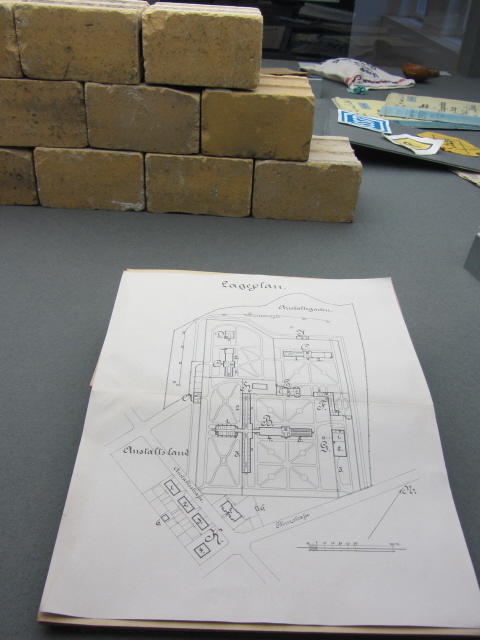 First there's a museum exhibition about the history of Bautzen's prisons. One section had an emphasis on the larger Bautzen I or "Gelbes Elend" ('Yellow Misery'), covering all periods of its history. A separate section on the use and abuse of the Bautzen prisons during the Third Reich was still in preparation when I was there (and still is at the point of writing), but another one about the Soviet "Special Camp" era from 1945 was already in place. Of most interest at this particular site will obviously be the exhibition about the Bautzen II Stasi prison. This is subdivided into various thematic subsections, both here and at several special points within the cell block. The central cell block is without doubt the "highlight" of it all from a dark-tourism perspective. It does have exactly the sinister aura you would expect from such a place. Hearing from the guide (or reading on the info panels) all the grim stories of individual inmates held here only hammers it home even more. The cells are arranged on four levels in a horseshoe-shaped block with galleries going all around and a central set of stairs connecting all levels. Classic design really. It is visually striking in its grim way. But you have to use your imagination to try and "picture" the sounds and smells too (hygiene was, shall we say, limited). Some cells are open and contain photos and info panels about inmates or various aspects of prison life. In addition to the regular cells, reconstructed to represent their design in different periods, there's even a TV room (what was shown was of course extremely restricted), and you can also peek into medical and interrogation rooms. Furthermore you can see the wing with isolation cells, which were mostly for special inmates such as prominent dissidents or Westerners. Outside the inner cell block area you can see electrical installations as well as some of the Stasi prison guards' surveillance technology. And in the basement there's a work room where inmates had to do simple manual labour. There are also more outdoors parts to be seen, in particular the wedge-shaped "exercise yards" where prisoners could at least get some fresh air (if not that much exercise), some again only in isolation, without any human interaction. This is where the guided tour ends. After that you can, like most visitors did, return to the inside and study the various exhibitions in more detail on your own and/or take in more of the inside's eerie atmosphere. In addition there was a special exhibition on, open-air, in the second courtyard between the garage yard and the prison proper. At the time of my visit it was about everyday culture in the GDR and expressions of state power within this. But it's changing regularly. Finally, there's also a small cafe at the site which doubles up as a museum shop too – but actually has very little on offer in terms of information material or "souvenirs". But they do have a free leaflet in English that you could pick up there. It's not much, but better than nothing. Apart from the proper memorial at the Bautzen II Stasi prison, the still operational "Gelbes Elend" ('Yellow Misery') penitentiary, officially called JVA Bautzen I, is worth a look too … from the outside only, of course. In fact you can see it dominating the eastern outskirts of Bautzen when driving past it on the motorway. Closer up it still oozes a chilling atmosphere – with the notable exception of the prison's incongruously picturesque church, also built from yellow bricks in a neo-gothic style. Just outside the prison perimeter, near its north-western corner, you can find the Karnickelberg memorial cemetery. It's laid out as a small field with gravestones and monuments complemented by a memorial chapel. The site is dedicated to the thousands who died and were buried here in mass graves during the time the Bautzen I prison was run as one of the infamous Soviet "Special Camps" in the first few years after WWII. En route, by the south-western outer wall of the prison, you can find an old GDR-era memorial plaque to Ernst Thälmann, former leader of the German communist party in the Weimar Republic. He had been imprisoned here during the Nazi era before being executed in Buchenwald towards the end of the war. These sites at Bautzen I and the Karnickelberg do not come with much information or interpretation, though. There's merely a small display box/info board by the entrance to the memorial cemetery with some flyers by the Bautzen Committee of former inmates and their relatives whose campaigning made the memorial possible (but again all the material is in German only). 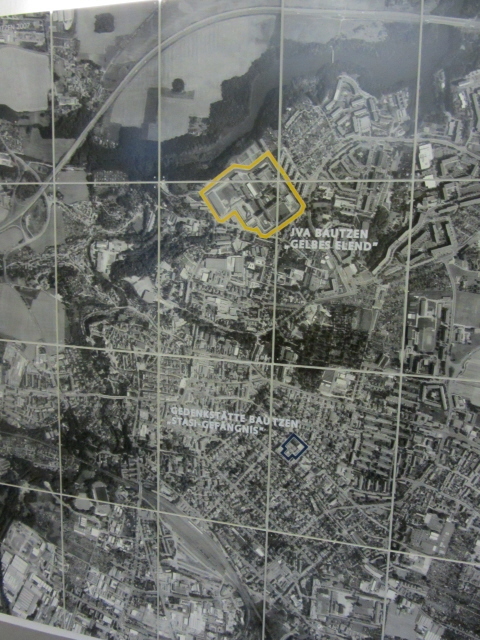 All in all, Bautzen's prisons, in particular the memorial site of Bautzen II, i.e. the Stasi prison, are significant dark sites pertaining to the GDR's repressive system (and that of the Nazis and Soviets as well). If you want to gain a real insight into these aspects of 20th century German history, Bautzen should not be missed. It's definitely worth a detour! Note however that if you want to visit independently, a sound knowledge of German is indispensable. Location: The town of Bautzen is in the far south-eastern corner of the province ("Freistaat") of Saxony in east Germany, close to the borders with the Czech Republic to the south and Poland to the east. The memorial of the Bautzen II former Stasi prison is a short distance south-east of the old centre of Bautzen, on Weigangstraße 8a. The large Bautzen I prison ("Gelbes Elend") which is still in use occupies a large area to the north-east of the Old Town. The Karnickelberg memorial cemetery and chapel is to be found just to the north-west of the Bautzen I prison. Access and costs: somewhat remote, but not too difficult to get to; memorial admission and regular guided tours are free. The working prison cannot be visited. Details: To get to Bautzen you can take a train, from Dresden there are normally connections every two hours. From the main train station it's a ca. ten-minute walk to the Bautzen II memorial. Proceed along Taucherstraße to the north-east and follow the signs saying "Gedenkstätte". If you're coming by car, take the A4 motorway from Dresden heading for Görlitz, and exit at Bautzen West. Then proceed via the B96/B6 past the Old Town and along Kornmarkt, Steinstraße and Löbauer Straße, then turn right into Taucherstraße. Weigangstraße is the second street on the left. From Bautzen East take the B156 south until the intersection with the B6, turn right into Löbauer Straße and left into Taucherstraße. If you're staying in Bautzen's old town centre, it's an easy walk of ca. 10-15 minutes: from the Kornmarkt (marked by Bautzen's striking "leaning tower"!) on the eastern edge of the walled Old Town proceed eastwards along Rosenstraße. This becomes Weigangstraße after a couple of hundred yards. Just carry on straight until you get to the memorial on the right. Bautzen I and the Karnickelberg memorial are a similar distance from the centre, but a much less pleasant walk to the north-east (but easy to drive). From Kornmarkt take the street Wendischer Graben northwards, then turn left and then right to get to Behringer Straße, which leads straight to the western edge of the prison. Head north to the Karnickelberg, or turn right to find the Thälmann memorial on Breitscheidstraße. These are freely accessible at all times (with the exception of the inside of the memorial chapel, which is only open 10 a.m. to noon on Mondays, Wednesdays and Fridays). The working prison itself is naturally not open to the public at all. The opening hours of the Bautzen II memorial site are: Tuesdays to Thursdays 10 a.m. to 4 p.m., Fridays to 8 p.m., and at weekends and on public holidays 10 a.m. to 6 p.m. – regular guided tours (in German) take place every Friday at 5 p.m. and on weekends at 2 p.m. Admission free. The regular scheduled guided tours (in German only) are free too; but specially arranged individual/group tours in English cost 40 EUR. These have to be booked at least three weeks in advance (phone +49-3591-40474, or reserve online at en.stsg.de/cms/node/978). Time required: more than you might think. The regular tours last about two hours (including the screening of a ca. 20-minute introductory film), but you may well spend longer inside the memorial independently – if you understand German well enough, that is. Otherwise, if you just come for a visual impression, you'd probably spend less than an hour here. Combinations with other dark destinations: Both Colditz and Pirna-Sonnenstein could be done as a day return trip from Bautzen. The nearest larger city is Dresden, clearly the biggest draw in the area in terms of both mainstream and dark tourism. Given Bautzen's location, it's also easy to get to western Poland from here, in particular to the memorial at Groß-Rosen. In fact, Bautzen was the site of one of Groß-Rosen's satellite camps – and this is commemorated through a simple memorial stone in Bautzen itself (on the Neusche Promenade by the Spree River in the south of Bautzen). Other than that Bautzen is primarily a quaint, old, picture-book kind of town. You can't even spot many traces of its GDR history any more – except one fountain I saw that sported (rather restrained) socialist realist reliefs on its side. But these are easy to miss – unlike the older historical architecture. Combinations with non-dark destinations: I admit it, I was ignorant: before I actually went to Bautzen I only associated the name with the image of a sinister prison. And I'm not the only person to have had that narrow concept of the place. It may thus be as surprising to many readers as it was for me to learn that Bautzen is in fact an exceptionally pretty little town, with a wonderfully intact historical centre. Unlike so many places in Germany it was spared destruction in WWII. So most of the old architecture survived. It was not spared the typical neglect during the GDR era when increasing dilapidation started to threaten some of the old buildings. But since the end of communism and Germany's reunification, lots of money must have been pumped into the restoration of Bautzen. Today it's prettily done up, without being too squeaky clean and polished. It has a charm that feels quite authentic. Well worth the trip to Bautzen alone. Bautzen is also famed for its mustard, and this is reflected in the presence of a number of speciality shops and restaurants. There's even a mustard festival in late August/early September when several restaurants offer special mustard-based seasonal menus – so if you like mustard, go then and you'll be in heaven. Finally, Bautzen is in the heartland of the Slavic minority of the Sorbs, hence you will see bilingual street signs: in German and Sorbian. 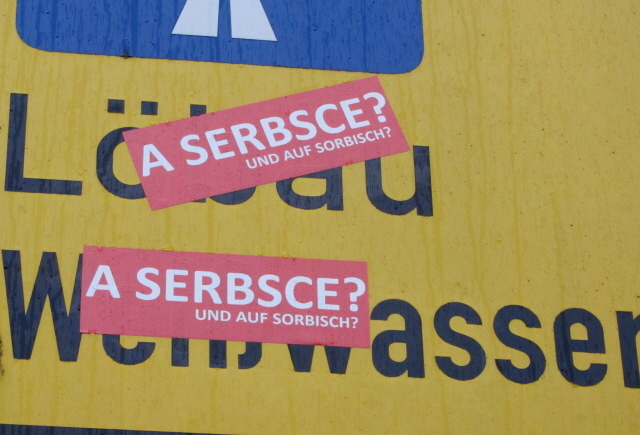 Occasionally, where a Sorbian equivalent is missing, you can see stickers added in protest – an "underground" indication of the minority's ongoing struggle for equal rights, I presume. They are quite officially represented too, though, e.g. with the large cultural centre "House of the Sorbs", with a Sorbian Museum and with speciality restaurants as well.